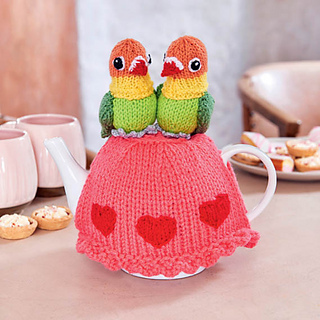 The Lovebirds tea cosy was designed for the Simply Knitting Magazine issue 169 which went on sale in January 2018. 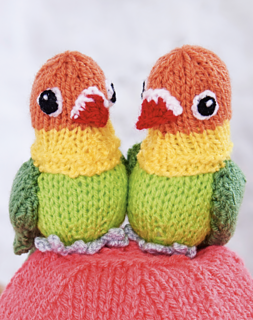 The tea cosy comprises of two lovebirds sitting on top of a frilly tea cosy. 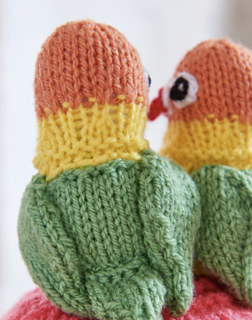 The brightly coloured lovebirds and the sunset coloured tea cosy make a great contrast. At the bottom of the cosy are six red knitted love hearts that are appliqued on. The cosy was inspired by love and hearts for Valentines day, and all those lovebirds out there. 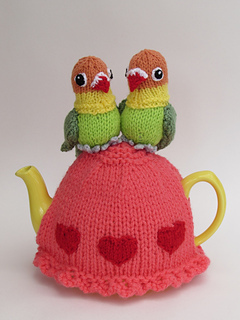 Birds are so on trend that this tea cosy isn’t just for Valentines day, it would look amazing all year round, a real tweet!